Courtney L. Fletcher is an attorney in the Estate Planning Practice Group of Carnahan, Evans, Cantwell & Brown, P.C. She concentrates her practice in the areas of estate planning and administration, probate, trusts and elder law, including Medicaid Planning, Special Needs Trusts, Digital Asset Planning and Veterans Benefits. Ms. Fletcher has experience in the preparation of Trust Agreements, Wills, Powers of Attorney and Health Care Directives. Additionally, she handles probate estates, including guardianships and conservatorships. Ms. Fletcher received her undergraduate degree from William Jewell College where she graduated with honors. Ms. Fletcher received her law degree from University of Missouri at Kansas City, Missouri. Ms. Fletcher is a member of The Missouri Bar, current President of the Greene County Estate Planning Council, a member of the National Academy of Elder Law Attorneys, a member of the Special Needs Alliance and a V.A. accredited attorney. 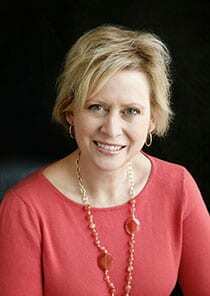 She is a past director of the Missouri Chapter of the National Academy of Elder Law Attorneys and a past chairman of the Springfield Metropolitan Bar Association Probate and Trust Committee. She currently serves on the Elder Law Committee of the Missouri Bar and is also a member of the Estate, Trust and Elder Law Institute Planning Committee. Ms. Fletcher is a former member of the Junior League of Springfield, serving in various capacities including Chair of Teen Court. She is a volunteer at Greenwood Laboratory School and is currently the chair of Greenwood Music Boosters Organization.